There’s nothing like travel to kick start your creative juices and give you some wild new ideas for dinner. 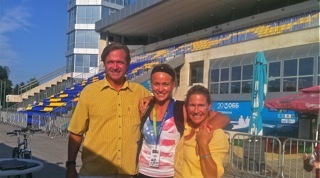 A few years back, our family was lucky enough to travel to Bulgaria to cheer our daughter Lydia on to a second-place finish in the Junior World Rowing Championships. It was exciting to see Team USA experience so much success, but we all know the best part of any trip is the food. While in Plovdiv, Bulgaria, we were introduced to shopska salad. 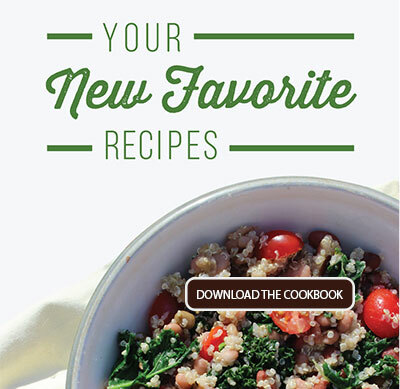 Shopska is a creamy sauce made of Greek yogurt and feta cheese that’s used to top salad of all kinds. But of course, we had to try it on a bean salad. 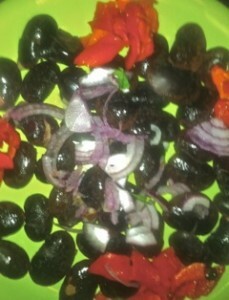 When the dish was placed in front of me, I was shocked to see these gigantic black beans, the size of mussels. 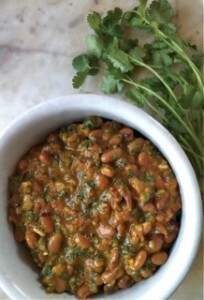 The smooth, salty sauce paired so well with the huge beans, we knew we’d have to find a way to recreate this at home. 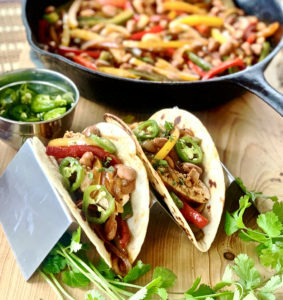 Using Randall Beans pinto beans, we’ve brought a taste of Bulgaria back home. 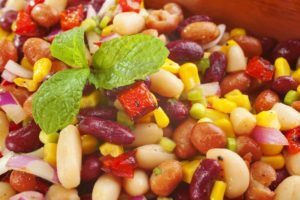 Sweet and crunchy red peppers and onions offset the softness of the beans and the oiliness of the sauce and keep the salad fresh and light. 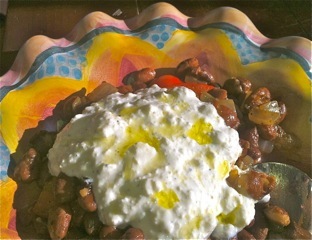 Bring a taste of Bulgaria into your house with this delicious shopska pinto bean salad tonight. To make sauce put all ingredients in a blender. Blend until smooth. To make the salad, heat olive oil and butter over high heat until shimmering. Add onions and peppers. Saute until soft and then add garlic. Continue to sauté until vegetables brown a bit. Add pinto beans and vinegar and warm through. Plate warm vegetables and beans. Top with shopska sauce.